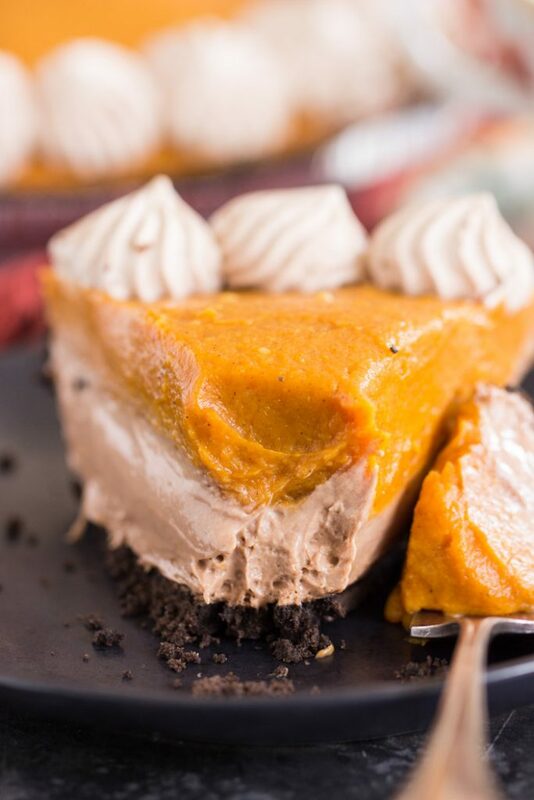 This quick and simple No Bake Double Layer Nutella Pumpkin Cheesecake comes together in 10 minutes, and with just a handful of ingredients. With a chocolate cookie crust, loads of pumpkin and spice, and a layer of creamy Nutella cheesecake, this Double Layer Nutella Pumpkin Cheesecake is a must for the holiday season! Hello! How is your weekend going? I know it’s Halloween weekend, and all the cool kids are doing fun stuff like getting dressed up and going out. We hunkered down the entire weekend though, and I barely left the house. Our week was too stressful and crazy, and I wanted to relax as much as possible. I think I mentioned a few weeks ago that we had a mom and litter of kittens show up in the backyard. Is this ringing any bells? We were frantically trying to find them homes, and it was right around Hurricane Irma, so it was a hell of a time trying to place them. We found a local rescue group that took in two of the kittens and the mother cat, and then we decided to keep one of the kittens. More accurately, my S.O. suggested that we keep one kitten in particular. This was all his idea, I swear. I would’ve loved to keep even more, but I have my beloved 18 year-old resident feline to think of, and I didn’t want to rock her world, especially during her golden years. In any event, the kitten that we kept is missing a foot. We’d already felt a sense of urgency to get all these felines off the street, but then we noticed that one of the kittens had an injury. We snagged him first, and got him to the vet. It’s healing pretty well, but his leg has had various bandages for weeks now. He is practically clueless that he’s missing a foot, and it doesn’t hold him back in the slightest. He’s super active and feisty, but he’s also sweet and snuggly, and we’re enjoying his kitten antics. Meanwhile, my older cat hasn’t felt well this week at all, and so between having an injured 3 month-old kitten, and an elderly 18 year-old cat, we’ve been a revolving door at the vet’s office. I’ve been sooooooo worried for my older cat, and I hope she’s on the mend now. Now that November is here, and Halloween has nearly come and gone, I finally feel like it’s appropriate to share all the recipes I’ve been working on for Thanksgiving. I made some back in August, including this Double Layer Nutella Pumpkin Cheesecake, and I was anxious to share them way back then, but I forced myself to wait til November. 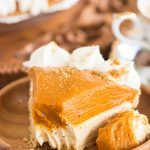 This older no-bake Double Layer Pumpkin Cheesecake is one of my most popular fall recipes, and I’ve had that recipe for almost 20 years now. 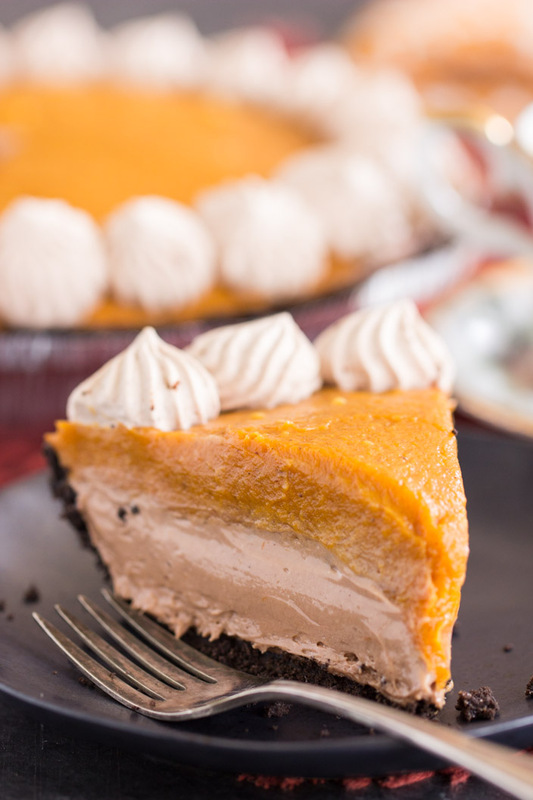 It’s the best because it has pumpkin, an ingredient that everyone is obsessed with this time of year, as well as cheesecake (always a good thing), but it’s only a few ingredients, and comes together in 10 minutes. Literally 10 minutes. It’s easy as pie (easier! ), and it’s smooth, luscious, and rich, but it’s so incredibly simple. Knowing the popularity and love for that recipe, I made us a Nutella version!!! If you haven’t tried pumpkin and Nutella together yet, you aren’t truly living! 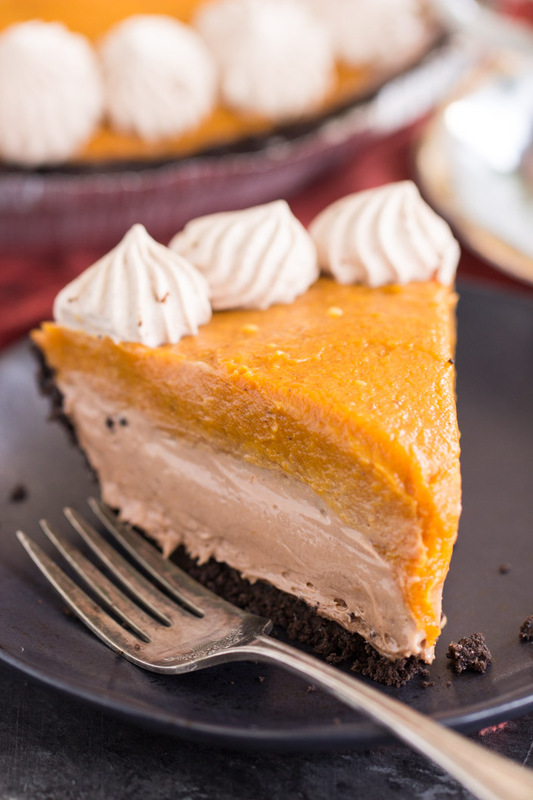 This Double Layer Nutella Pumpkin Cheesecake is as easy as the original recipe, and the ingredient list is nearly as short, but it has NUTELLA. What more do you need to know? 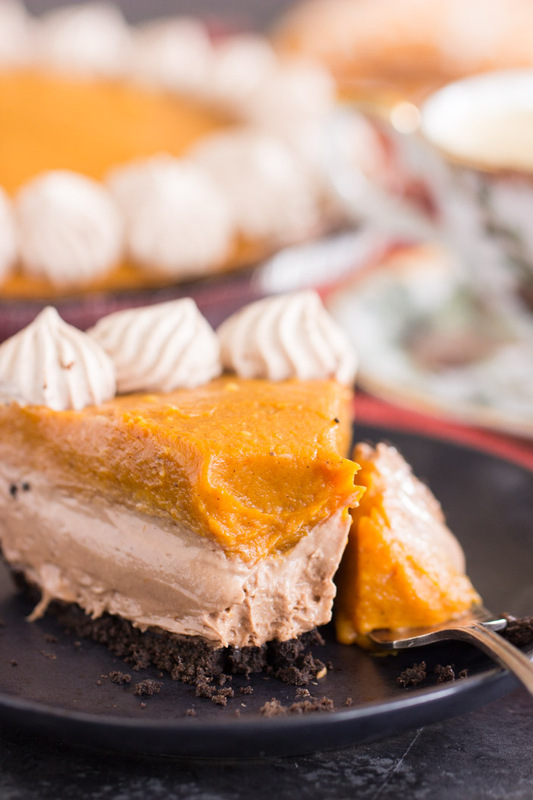 This quick and simple No Bake Double Layer Nutella Pumpkin Cheesecake comes together in 10 minutes, and with just a handful of ingredients. 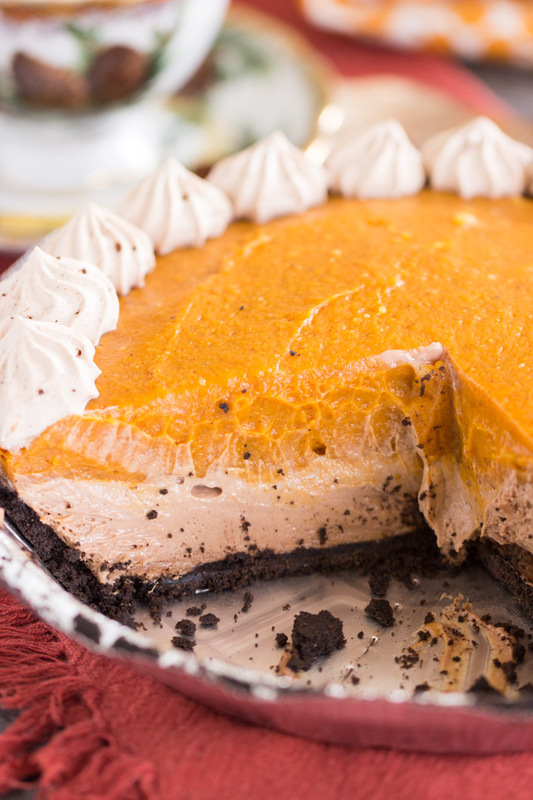 With a chocolate cookie crust, loads of pumpkin and spice, and a layer of creamy Nutella cheesecake! In a small mixing bowl, combine cream cheese, 2 tbsp. milk, and sugar. Mix until smooth. Add Nutella, mixing until combined. 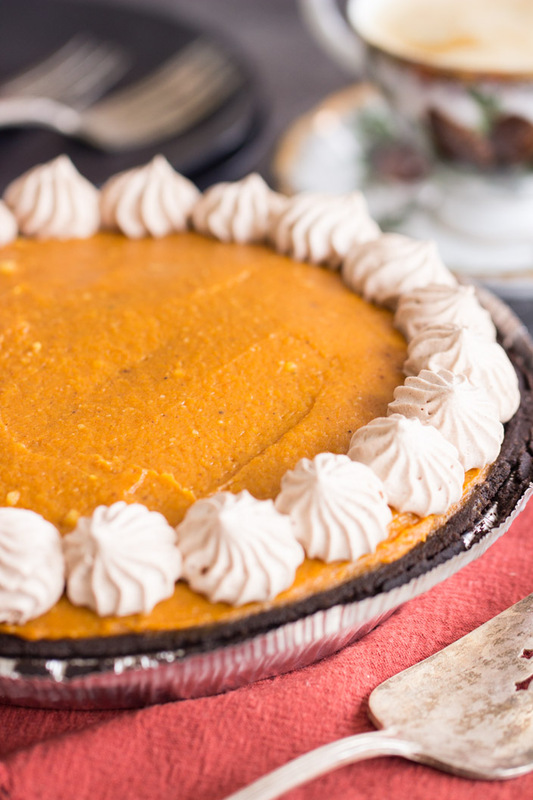 Spread evenly (and carefully so that you don't lift crumbs from the bottom of the pie crust) into the crust. In a large bowl, combine vanilla pudding mix, 1 c. milk, pumpkin, and spices. Spread the pumpkin mixture over the Nutella layer. Refrigerate to chill, about 30 minutes. Garnish with more whipped topping (if desired), cut and serve. Store in refrigerator. If you like the idea of pumpkin and Nutella together (which you should!! ), I’ve got these Snickerdoodle Pumpkin Nutella Muffins to check out, as well as these Pumpkin Nutella Whoopie Pies, and Pumpkin Cupcakes with Nutella Buttercream. And then, if you want pumpkin cheesecake recipes, I’ve got a heap. Like, a ton. 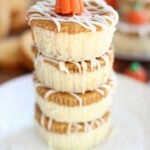 Here’s a few: White Chocolate Pumpkin Cheesecake with Gingersnap Crust, Double Layer Pumpkin Cheesecake (traditional baked! 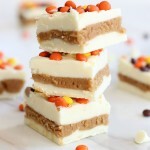 ), Pumpkin Spice Oreo Cheesecakes, and Pumpkin Chocolate Chip Brownie Cheesecake. I love all those, and I’ve still got more. Cheesecakes are kinda my weakness! P.S. If anyone is in the Tampa area, and looking for a cat, I have a few kittens to choose from!!! Seriously…. Top 10 Recipes of 2014! Holy moly, this cheesecake is EVERYTHING. These layers are seriously perfection– definitely need to try!